Starting with the letter A and working through the alphabet you will find great information on nutrition topics for your horse. I know, I know, there are many places that already have really great descriptions and information on the equine Digestive system. But the ABCs of Equine Nutrition will be a book when we are done and a book on equine nutrition would not be complete without a review of the Digestive system and how it works. Plus it begins with the letter “D”. 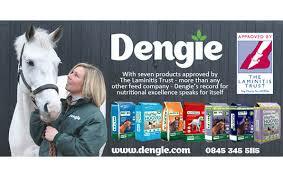 So if you are well versed in equine Digestion and how it works then you can wait for our next topic for the letter “D” and that’s Dengie. If not, let’s go! To keep it simple (and I’m all about that) Digestion is basically the process of making food absorbable by the body to use as energy. It does this by dissolving it and breaking it down into simpler chemical compounds. In the horse this is done through the action of enzymes in the foregut (stomach and small intestine) and fermentation in the hind gut (cecum and large intestine). When Digestion works properly the nutrients from the broken down feed can be absorbed and provide the fats, carbohydrates, amino acids (protein), vitamin and minerals for the horse to use to live, grow, work, etc. 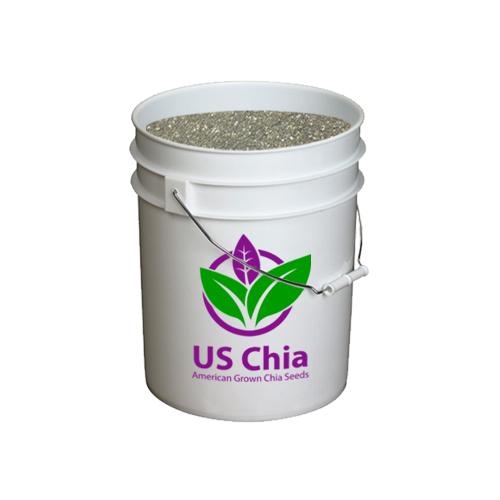 These nutrients can be used right away or stored for future demands. 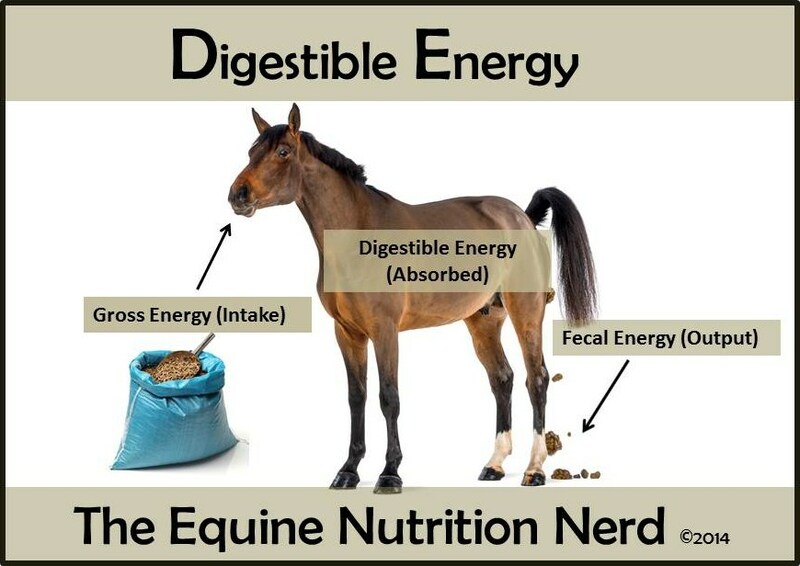 Have you seen the term Digestible Energy or DE used to describe the value of your horse feed? 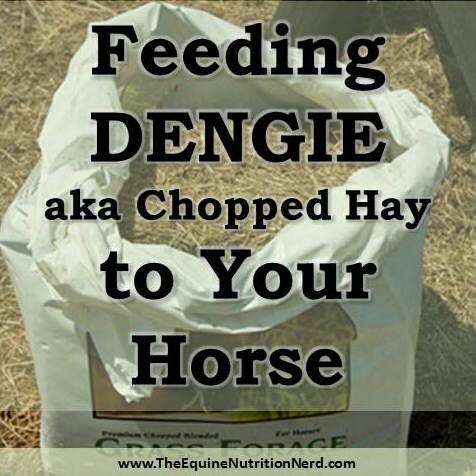 Do you understand why they use this term in horse nutrition? Well, if you aren’t quite sure join the club! Many of my nutrition consults include an explanation of this concept. Even though Digestible Energy (DE) is the most common method for measuring horse feed most horse owners still rely on the basics percentages of protein, fat & fiber to decide on what diet they feed. It’s really not that hard to understand if you keep it simple. 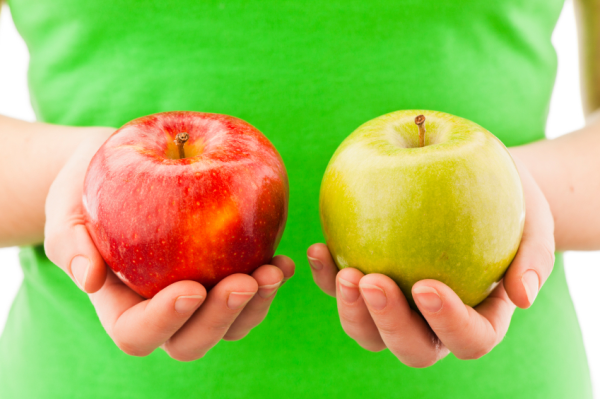 There are two concepts you need to look at; Energy and Digestibility. Trying to figure out your horse’s diet can be confusing. 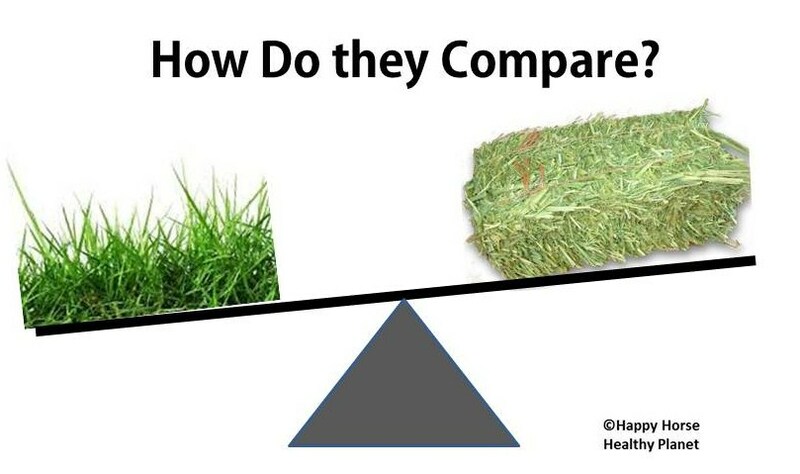 How do you compare the protein value of your hay to the protein in your pasture? If the grain bag recommends 5 lbs. on an “as fed” basis what does that mean exactly? These are some typical questions I get from clients when helping them develop the correct diet for their horses. The answers are found when they understand Dry matter and Dry matter conversions. 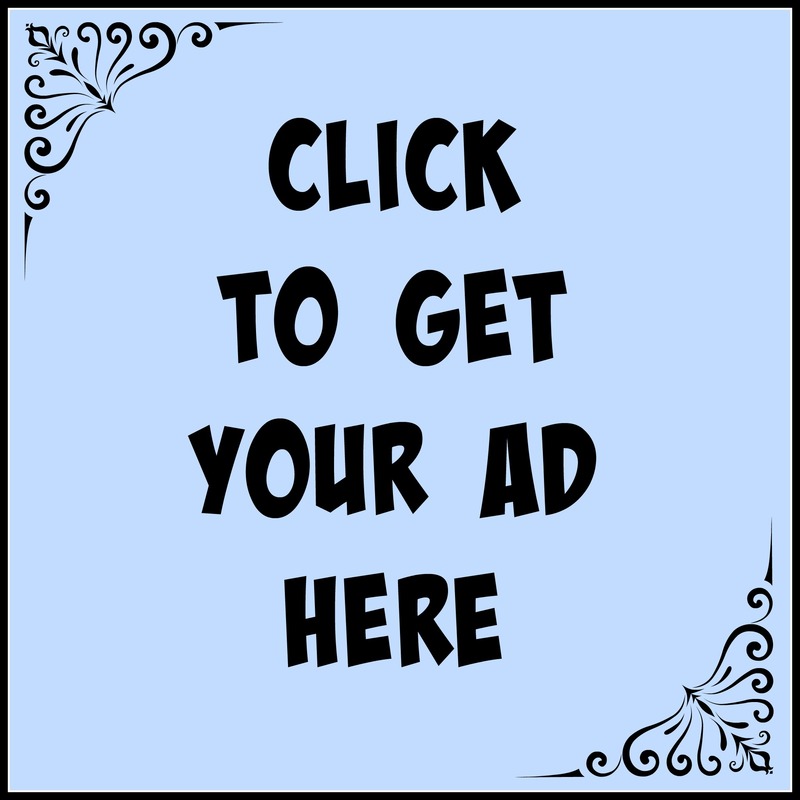 If you are like most horse owners you understand enough about equine nutrition to read a feed tag or to follow along with an article in a magazine. You might even be able to have a decent conversation with a fellow horse owner about the features and benefits of a certain ration. I have found in working with my clients that there are areas of equine nutrition that can get complicated but are still very important to understand; “Dry matter” versus “as fed” is one of these. 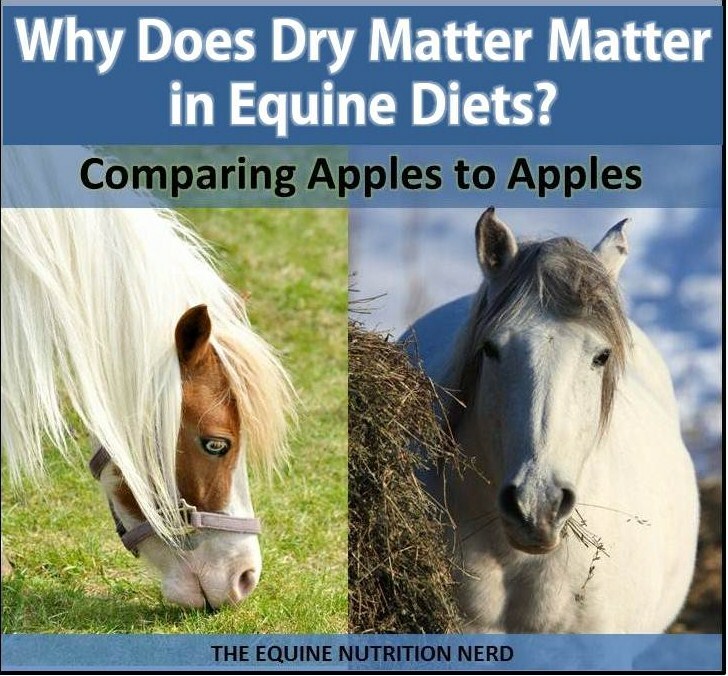 Dry matter is an important way to be sure that you are comparing “apples to apples” in your horse’s diet. 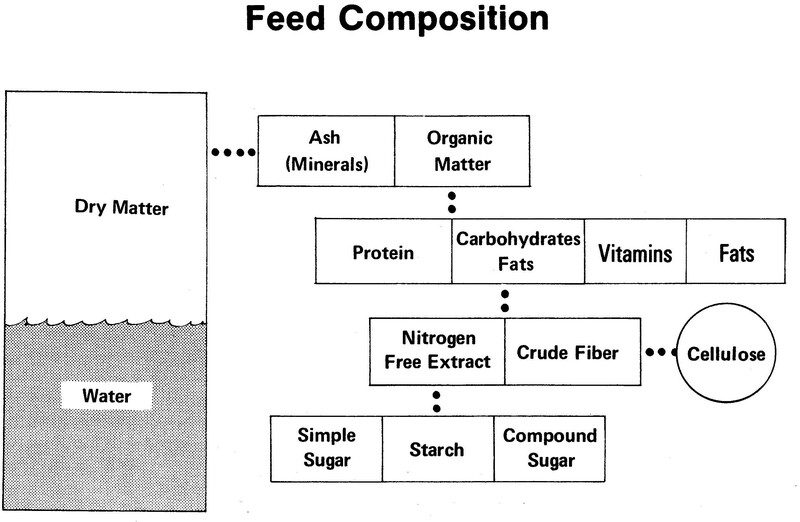 Basically, feeds are composed of two components – 1) water and 2) Dry matter. All feeds contain some water and the amount of moisture in any feed or forage directly affects its nutrient content. As you know water is essential to horse health but the nutrients (energy, protein, minerals, and vitamins) are found in the Dry matter portion, therefore it’s imoprtant know what percentage of the feed is Dry matter. If we want to compare the nutritive value of feeds that have different moisture content, we need to look at it on a moisture free (or Dry) basis. For example green grass is much higher in moisture than hay so you must calculate the grass without the water content to be comparing apples to apples as far as nutrient value. Dry matter includes everything contained in a feed sample except the water; protein, fiber, fat, minerals, etc., so pretty much what your horse eats. Dry matter provides the energy in a horse ration and make up ninety percent of the dry weight of a diet. Some feeds, including pasture grass and fresh forage, contain significant amounts of water. Others, like cereal grains that look completely dry can still contain 10-12 percent water. When feedstuff is air dried, most feeds will retain about 10 percent moisture. Nutrient percentages on feed tags are shown on an air-dry basis. Dry matter content of a feedstuff is important because it reveals the actual amounts (in percentages) of various nutrients available to the horse consuming it. In contrast, “as fed” basis represents the feed or forage as it is fed to the animal including the moisture content. While “as fed” is an accurate representation of the amount feed being consumed , it does not provide the percentage of the nutrients in the feed, particularly when the moisture content is high. To meet a horse’s nutrient demands requires knowledge of the actual nutrient content of the grains, forages, and supplements it consumes, not just the amount of intake. This is where I usually see my client’s eyes start to glaze over but stick with me. 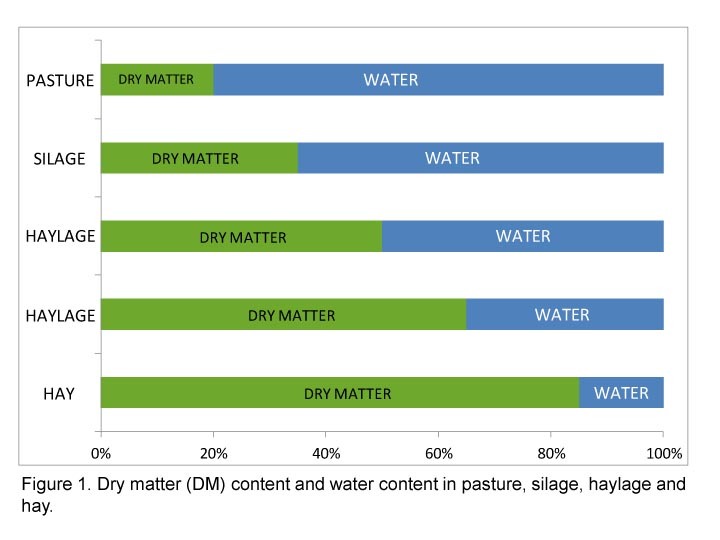 If we use Dry matter percentage of the nutrients in feeds we need to remember that the physical quantity (amount) of nutrients will NOT change when water is added or removed. However, the percentage of nutrient present in the feed will change if water is added or removed because the water either DILUTES (water added) or it becomes more CONCENTRATED (water removed). 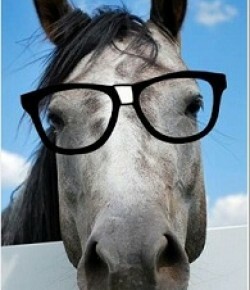 Okay, you know I love to use human analogies to help horse owners understand so here goes. 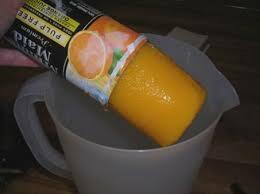 Let’s take a can of frozen orange juice and compare what’s in it (nutrients) to the same can plus 4 cans of water. The mixture would still have the same nutrients found in the single can but without the water they are CONCENTRATED (higher percentage). 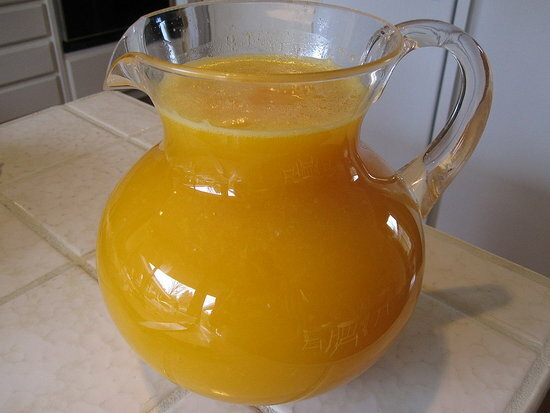 You would have to drink all of the mixture to equal the same nutrients as the single concentrated can of orange juice. For an equine example, if a horse consumes 10 lbs. of hay at 90% Dry matter, it consumes 9 lbs. of Dry matter (10 x .90). If pasture at 20% Dry matter is substituted for the hay, it would have to consume 45 lbs. of pasture (9/.20) to receive the same amount of dry matter nutrients. Remember, the Dry matter is where the nutrients are. 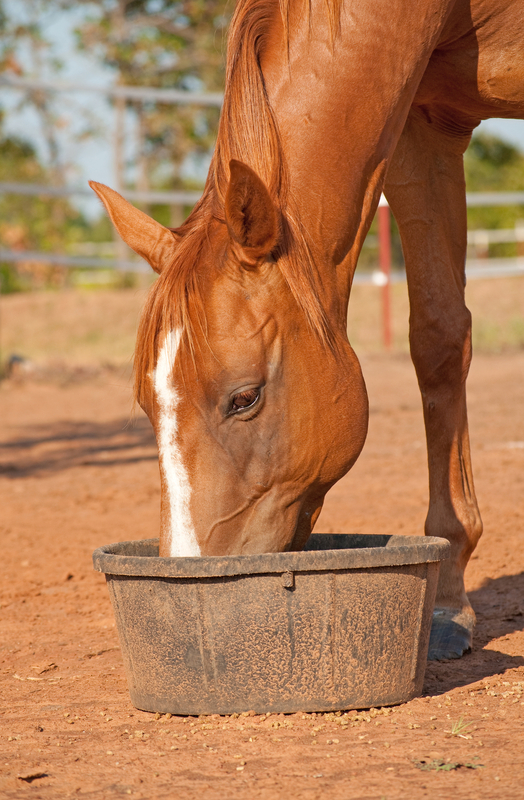 Horses consume feed to meet their daily needs for various nutrients and therefore, it is important to establish the amount of feed potentially consumed. As we know now, because it is the Dry matter that contains all of the nutrients horses will have to consume more of a wetter feed to receive the same amount of Dry matter as they would from a drier feed. The hay has a 17. 64 % protein on a DM basis but the pasture has 35% protein on a DM basis. Of course you don’t feed pasture on a Dry matter basis but this illustrates how much the nutrient is diluted with the addition of moisture. As all equine feedstuffs contain different levels of energy, protein, minerals, and vitamins you can find out what the nutrient profile is from feed tags on grain mixes, feedstuff tables online, from professional nutritionists, or through chemical analyses. Once actual Dry matter percentages of different feeds are known, reliable nutritional comparisons can be conducted and rations properly evaluated. 12.0/0.9 = 13.3% protein on a Dry matter basis. Dry matter intake is the amount of dry matter consumed by the animal and it is a central concept to any discussion of animal nutrition. Most horses will voluntary intake a daily Dry matter range of two to three percent of body weight. Dry matter will influence the amount your horse consumes and generally the higher the quality of a feedstuff then higher the Dry matter intake potential. Example: An 1100 lb. horse consumes about 1.8% of its body weight per day. Lbs. Dry matter intake = 1100 x (1.8/100) = 19.8 Lbs. We’ll say this horse’s diet is approximately 65% forage and 35% grain to meet daily energy needs. Lbs. Forage Dry matter = 19.8 x (65/100) = 12.87 Lbs. Lbs. Grain Dry matter = 19.8 x (35/100) = 6.93 Lbs. While it is beneficial to compare nutrient profiles on a Dry matter basis, in reality we must work with and mix feed on an as-fed basis. For example, a ration may be formulated on a Dry matter basis, but the actual feed ingredients must be mixed on an as-fed basis. After you determine the recommended nutrient demands for your horse formulated on a Dry-matter basis, the values can be converted to an as-is basis (using the moisture content of the feed) to determine the actual amount of feed (as-is) that should be fed. Converting Dry matter nutrient values to an as-fed basis multiply nutrient percentage by the percentage of Dry matter in the feed. Using the values from above, if the diet consists of only hay and grain, the amounts to feed can be calculated by assuming both feeds are 90% dry matter. Lbs. Hay fed = 12.87 / (90/100) = 14.3 lbs. Lbs. Grain fed = 6.93 / (90/100) = 7.7 lbs. So in this example you will need to feed your horse 14.3 pounds of hay and 7.7 pounds of grain to provide sufficient Dry matter (nutrients). Dry matter analysis allows a comparison between the level of a given nutrient in Dry matter and the level needed in an animal’s diet. It is very important to know the Dry matter content of a feed to establish feeding rates and insure that your horse receives the proper amount of feed to meet their daily needs. It is important to always balance and evaluate rations on a Dry-matter basis. It levels the playing field so to speak. Nutrient values will either be on a Dry matter or as-fed basis. Before balancing a ration all values must be converted to either one or the other. It is often easier to balance the ration using Dry matter figures and only convert to an as-fed basis after the ration is balanced. Why does Dry matter matter? Because the largest expense in a horse care is the feed bill. 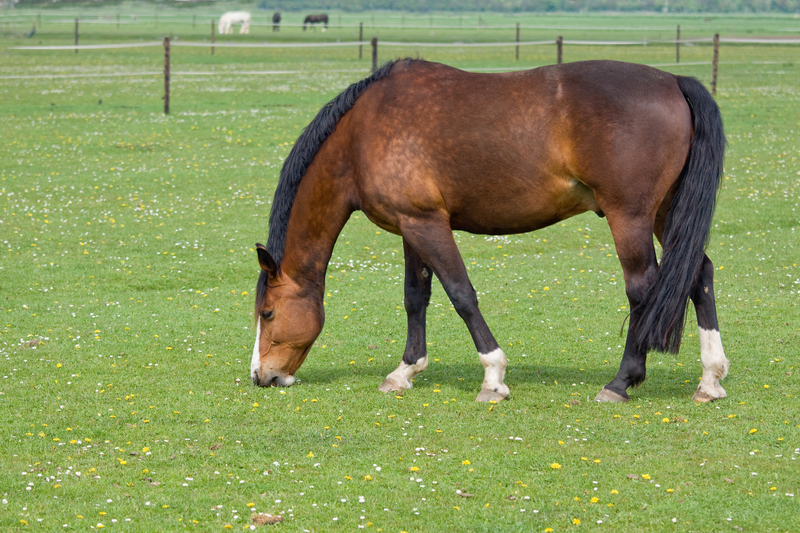 To keep this cost low, a horse owner must supply the right amount of feed to the horse. Overfeeding is wasteful. Underfeeding will decrease health and performance. Therefore, proper feeding and nutrition are crucial to the health of your horse and the health of your bank account!